Checking all three boxes, meat is a great food for us hikers. They're a delicate balance between carrying enough food to meet your calorie requirements and not carrying TOO much food that your pack is heavy, resulting in excess calorie consumption - not to even mention they're more delicious for most of us. As I explained in my previous articles, some cheeses and peanut butter also check all these boxes and make perfect backpacking foods. I'd recommend you to consider taking them with you as well. 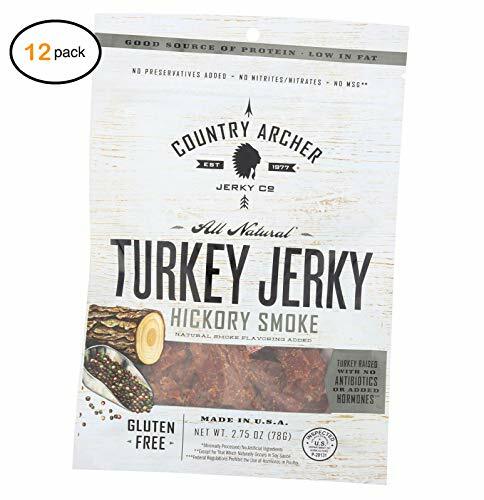 I'll get down to the nitty gritty each and every one of them, but in short, for one night campers, I'd recommend this beef & turkey jerky combo on Amazon. 70 calories per ounce (relatively high caloric density), no nitrite/nitrate, tastes pretty good and comes with its own sealed vacuum bag. I can hear some cholesterols rising already. Let's get to it. How much meat to pack? Wise food choices are essential to a successful hike. You want to choose foods with high “calorie to ounce ratio.” That's to say, you want to pack food with the highest calorie content for the least amount of weight in your pack. Generally speaking, foods with more than 70-80 calories per ounce are considered to have relatively high caloric density - which is essential for us hikers for maximum efficiency. Of course, when considering calorie density, you also need to think about nutrition. Some of the most calorie dense foods (think, Snickers bars) contain little nutritional value, and most nuts & seeds are mostly about fats with little micronutrients. Meats, on the other hand, especially fatty meats, are one of the richest type of food in terms of micronutrients - which you should also intake as much as you can on a hike because of higher activity compared to your daily average. ​A simple estimate is around 1.7 pounds of food per day . Using this calculation, on a 7 day hike, your food would weigh about 12 pounds of your total pack weight. Ultralight backpackers advocate for no more than 1.5 pounds of food a day - but this all comes down to the difference between the caloric density of the foods you pack (calories in) and the energy you consume (calories out) . The nature of backpacking means you won't have access to refrigeration or ice throughout the trip. Some hikers do strap a small soft sided cooler to their pack , which helps keep food cool initially - but I'd NEVER recommend that unless you'll be car camping because of obvious size and weight problems. This is a no-brainer (sorry), but let me say it: NEVER BRING RAW CHICKEN on a hiking trip. Chicken must be stored below 40˚F and this temperature is almost impossible to achieve on the trail. You can, however, bring pre-cooked chicken, in cans or pouches. Pouches are preferable because they are lightweight and leave less trash to pack out. Moroccan Chicken Couscous takes just 5 minutes to prepare and only requires boiling water . This is the kind of meal you daydream about when the trail gets tough - but beware, it's caloric DENSE. Be careful not to end up preparing this recipe for 4 while you should be doing for 2. But if it isn't clear by now, this is the problem we'd like to have. Similar to chicken, never bring RAW turkey on the trail, always bring it pre-cooked or dehydrated. 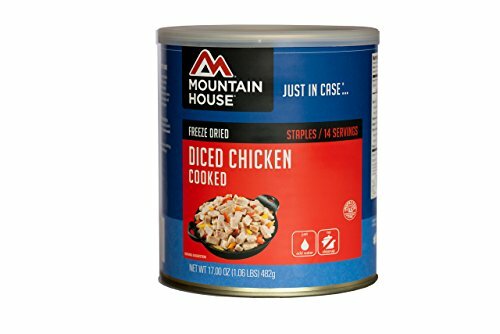 If you own a dehydrator, this recipe for Turkey Taco Stew takes only 15 minutes to heat up at camp . Now these are the types of meats most hikers prefer (duh) - and shelf life isn't the only consideration. See introduction. Shelf stable meats are backpacking essentials. Before refrigeration, curing meat was a means of preserving meat by drying, smoking, or salting . Which is why I'm now going to lay out the most useful cured meat options for hikers. This type of meat is a GREAT option for longer hikes and should be your first option in most cases. 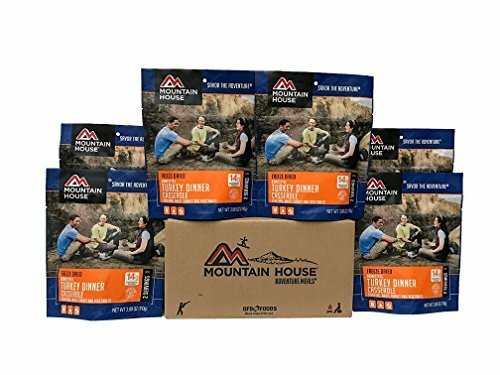 You can purchase pre-packaged dehydrated meals from most outdoor supply stores or order online but these meals can be expensive and high in sodium - although I'd personally go after this option. Other option is preparing your own. If you plan doing a lot of backpacking, it can be a good idea to invest in a quality dehydrator. There is this dehydrator on Amazon which can be pretty good for dehydrating meat as well as any other type of food. Now let me list these types of meats. The easiest way to transport beef is in the form of jerky. 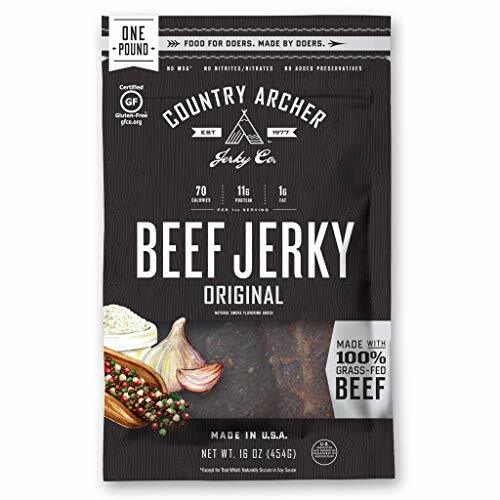 Beef jerky is a trail staple that can last up to 12 months, even in hot weather. Keep your jerky in its original sealed packaging (with the desiccant to absorb moisture). If you make your own, be sure to remove at least 95% of the moisture and then vacuum seal it or store in an airtight bag . It isn't advisable to bring uncooked beef on the trail, especially not ground beef. If you're desperate for some steak, cut beef up into pieces and freeze it in a ziplock. An alternative to beef jerky is “meat bars”. These snacks are high in protein sometimes even without excess sugar and carbs. They are quick, filling, and, surprisingly delicious - but since they're a little off topic here I'm not going to go into details. If you're only going out for a night or two, a can of beef chili can be a quick and tasty meal that requires no advance preparation, though it's a heavier option. I like to throw this in my pack when I decide to hit the trail for a last-minute adventure. Try to find a can with a tab so you don’t have to bring a can opener (I’ve learned the hard way). Choose cans of tuna with easy-to-open tabs or skip the cans altogether and choose tuna or salmon in a pouch. If you have the option, choose fish packed in olive oil for the extra calories. You can also get pre-seasoned tuna, such as thai chill or tomato basil, which makes for a delicious snack. An easy tuna recipe can be prepared with a pasta that cooks in 6 minutes or less . If you can spare the weight, pack a few bagels for your first breakfast on the trail. Add a package of ready-to-eat salmon and an individual packet of cream cheese for a gourmet snack that will start your day in style. Hard/Dry salami is absolutely one of your best bets on the trail. Choose one with natural casing and you can store it, unrefrigerated, for up to 12 months, as long as it's not too hot. Salami is, in fact, has been around before the invention of refrigeration - so do it to it. Shelf-stable pepperoni is also a great snack. Eat individually wrapped pepperoni sticks as you hike or bring a bigger log of shelf-stable pepperoni to add to dinners. Here's a good beef dry salami and a turkey dry salami. Pre-cooked bacon is another widely-used yummy treat to take on the trail . Find this in the meat section or near the salad dressings, or you can order this smoked bacon jerky on Amazon here. You can add bacon to almost any meal to make it more exciting. I like to bring powdered eggs and mix in bacon for a breakfast treat halfway through my long trips. If you'd prefer dehydrating/curing your own bacon, make sure following these guidelines . If you prefer packing raw bacon, cook it well done to make sure all the trichinosis are gone. Remember, dehydrating only does NOT kill trichinosis. Mind you it's internal temperature of the meat to make sure all the trichinosis are gone. To be sure, 165 F exposed heat can be good in most cases - but I'd simply avoid doing it myself. Also, raw bacon will decrease the calorie/weight ratio due to water content. Summer sausage is usually a mix of pork, beef or venison. It can be stored un-refrigerated until opened and is high in fat, adding much-needed calories on strenuous hikes. Summer sausage fares better in lower temperatures (under 75˚F) and I'd eat within a week of opening to be completely safe. You can also find summer sausage in smaller individual packages, which are great for longer hikes. Summer sausage pairs well with a hard cheese for lunch on the trail, and this one can be a good option. Prosciutto is a dry cured uncooked ham that can be stored unrefrigerated for up to a week. Be sure to wrap your prosciutto in plastic so that it doesn’t dry out. If you do no-cook backpacking, try Prosciutto wrapped dates or prosciutto with cheese and crackers. As I explained before, Parmesan cheese is great for backpacking . ​If you're backpacking in the wild; do store your food in a bear canister (2.71 lbs) or in a dry sack (between 6-30 liters). You might not be able to smell it - but mice, rodents and bears will . It's our responsibility to prevent these wild animals diverging from their natural diet, being dependent to campers and/or get killed because of close contact. Speaking of which, although maybe a little off-topic; do make noise while walking not to surprise bears but don't whistle or scream - as they can think of you as another animal suffering before its death and can get closer to you . I don't want to come off a hypocrite - but even if you do your true BEST to avoid these animals, you might still end up encountering one in a very dangerous situation. That's why, to protect myself against these kind of scenarios, I'd carry a bear spray - whether or not I packed meats. Also read these safety cooking and eating in bear country guides  . Backpacking can be challenging. Careful meal planning will help you ensure you don’t carry excess weight and keep you healthy on the trail. Adding meat to your diet will help you have more energy and feel satiated for longer. It also gives you something to look forward to when you get back to camp. While hiking is about enjoying the journey, nothing beats arriving at your destination, setting down your pack, and enjoying a delicious meal. I hope this article was helped you to understand which meats are best for you on a hike. Feel free to ask any questions in the comment section below and I'll be happy to respond. Thank you for reading and happy trails.